Families Meet Children's Book Authors at nErdcampVT | The Kids Beat | Kids VT - small people, big ideas! Four years ago, Donna Sullivan-Macdonald, the librarian at Orchard School in South Burlington, attended nErDcamp Northern New England in Freeport, Maine — a literacy-focused "unconference" that brought dozens of children's book authors together to lead workshops for educators and to meet families. She was so inspired by the free event that she thought to herself, If they can do it in Maine, we can do it in Vermont. 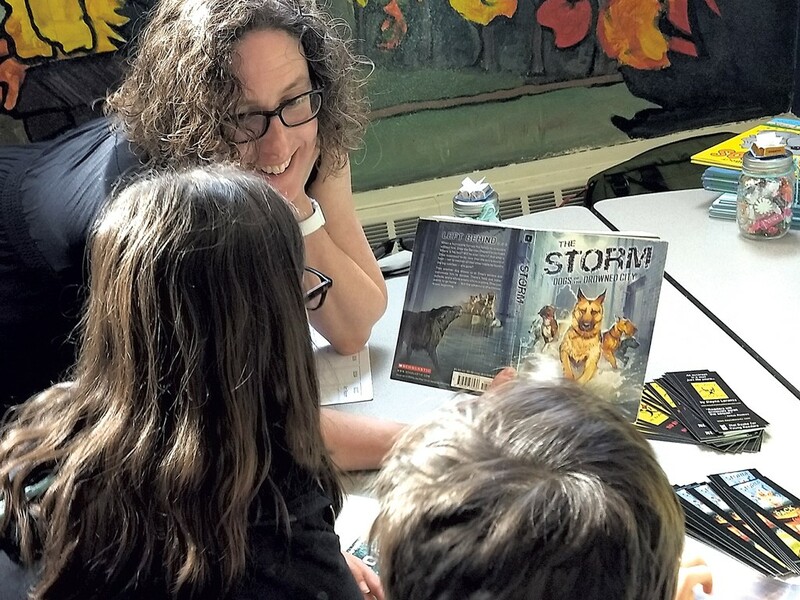 Last year, with the help of the Vermont Council on Reading, the Vermont School Library Association and the Vermont Department of Libraries, she launched nErDcampVT. This month, the second annual daylong nErDcampVT will start with sessions for teachers run by authors from Vermont and beyond. Then, at 2:30 p.m., the public will be invited to a free Author Faire featuring 34 children's book writers and illustrators, including Jim Arnosky, Ann Braden, Sarah Dillard, Katy Farber, Jo Knowles and Tanya Lee Stone. Phoenix Books will be on hand for those who'd like to purchase participating authors' picture books and novels. "It's a rare opportunity to connect with over 30 authors in one place," said Sullivan-Macdonald. The nErDcampVT Author Faire is Saturday, April 6, from 2:30 to 3:30 p.m. at Hiawatha Elementary School in Essex Junction. Find more information at tinyurl.com/nerdcampvt.